The integrated sense of it is to laugh in different poses. JKYog system of yoga teaches you five types of Hasyasans that will free you from your anxieties, stress, and tensions. First pose under JKYog Hasyasan in the Ucha-Attahas Hasyasan or the Booming Laughter Yoga Pose. Here Swami Mukundananda, a world-renowned teacher of Yoga, Meditation and Spirituality is showing us the technique of booming laughter yoga pose. ii. Raise your hands up and laugh boomingly. Second pose under JKYog Hasyasan in the Gur-Gur Hasyasan or the Chuckle Laughter Yoga Pose. This is, basically, a laughter Yoga pose where you laugh with your mouth close. ii. Laugh or chuckle with your mouth shut. Third pose under JKYog Hasyasan is the Dandiya Hasyasan. Dandiya is a traditional Gujarati (Indian) dance where a couple dances with a pair of stick in their hand. In this pose, you will imagine that you are dancing with sticks and move your hand either sides, clap and laugh. ii. Tilt either ways, clap your hands, and laugh loudly. Forth pose under JKYog Hasyasan is the Anaram Hasyasan. Anaram is vowels of Devnagari script. They are pronounced as a, aa, i, ee, u, oo, e, ai, o, au, ri. In this laughter yoga pose, you will laugh and enunciate these vowels. You can use vowels of any other script. ii. Raise your hands one by one and laugh enunciating the swar varṇa (vowels) of the Devanāgarī script. Fifth pose under JKYog Hasyasan is the Gud-Gud Hasyasan or tickle your partner laughter yoga pose. This is most popular laughing yoga pose. Here you get to tickle your partner and your partner, in return, tickles you back. i. Get another person to pair with you, and sit in Sukhasan facing each other. ii. Tickle each other and laugh. Hasyasans make your heart very healthy. They activate about 75 muscles in different parts of your body, thus resulting in the increase of blood level throughout the whole body. They release mental and emotional strains and help inducing zeal and vigor. You feel extremely released, vibrant, and fresh upon practicing the above mentioned of Laughter Poses. They strengthen your immune system. It helps growing the intellectual performance and boosting information retention. Laughter poses significantly help control diabetes by reducing blood sugar levels thus. These asans are cathartic exercises, which assist the practitioners in venting out their condensed emotions in systematic and organized way. Thus, they help develop positive emotions and reduce the negative ones, thereby ensuring a healthy life. According to Dr. Otto Warburg, a German scientist and Nobel Laureate, the main cause of our illness is due to the deficiency of oxygen in our body cells. Laughter poses bringadequate oxygen to both—the body and brain; adequate supply of oxygen is the basic factor for keeping a sound health. 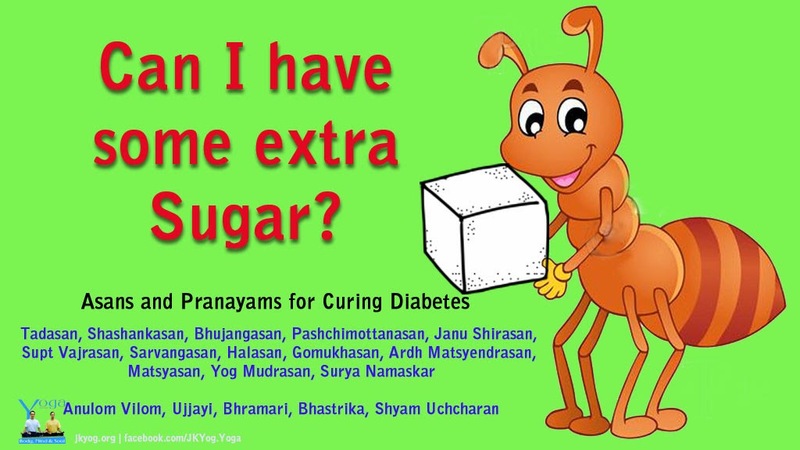 Thus, these Yogic exercises are equally significant for people suffering from cancer and different chronic respiratory diseases like bronchitis and so on. Everybody knows that immune system plays a crucial role in the causation and prognosis of cancer; the most probable trigger for the occurrence of cancer is the weak immune system of a person. Laughter poses increase the number of natural killer cells—the main factors of the immune system; thus these Yogic asans assist in both—overcoming andterminating cancer cells. Contraindications People with the problems like depression, high blood pressure, and heart ailments; and also those who have undergone recent surgical operations of abdominal parts should not attempt any of these Hasyasans. Diabetes Mellitus is a chronic disease that occurs either because of inadequate insulin production, or because of the body's cells improper response to insulin, or both. Insulin is hormone secreted by the pancreas. The Carbohydrate foods that we eat are broken down into glucose in the blood. Insulin helps the cells to absorb the glucose to produce energy. Not being able to produce insulin or use it effectively leads to raised glucose levels in the blood which is known as hyperglycaemia. High glucose level for long period are associated with body damage and various organs and tissues failure. Type 1 diabetes is usually caused by an auto-immune reaction where the body’s defence system attacks the cells that produce insulin. People with type 1 diabetes produce very little or no insulin. The disease may affect people of any age, but usually develops in children or young adults. People with this form of diabetes need injections of insulin every day in order to control the levels of glucose in their blood. Type 2 diabetes accounts for at least 90% of all cases of diabetes. It is characterised by insulin resistance and relative insulin deficiency, either or both of which may be present at the time diabetes is diagnosed. The diagnosis of type 2 diabetes can occur at any age. Type 2 diabetes may remain undetected for many years and the diagnosis is often made when a complication appears or a routine blood or urine glucose test is done. It is often, but not always, associated with overweight or obesity, which itself can cause insulin resistance and lead to high blood glucose levels. People with type 2 diabetes can often initially manage their condition through exercise and diet. However, over time most people will require oral drugs and or insulin. Both type 1 and type 2 diabetes are serious. If there is anything people tend to blame for their spiritual progress-it is destiny. It is one of the topics that the mind is widely used upon. Luck, fortune, fate are the synonyms for destiny. 1. Doctrine of fate: The philosophical doctrine according to which all events are fated to happen, so that human beings cannot change their destinies. 2. Belief in all-powerful fate: The belief that people are powerless against fate. 3. Feeling of powerlessness against fate: An attitude of resignation and passivity that results from the belief that people are helpless against fate. 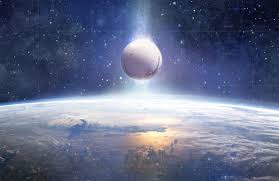 “The actions we performed in our past lives become our destiny in this life.” In other words, destiny is not something that has come down from the heavens or a horoscope chart that is revealed to us by astrologers. We have created our destiny ourselves by actions in past births. This means that we performed actions with our free will in past lifetimes. Now, we shall use the technique of “Reductio ad absurdum” to disprove fatalism. This is a technique where the statement to be disproved is accepted in the premise. It is then shown to lead to a logical inconsistency. Let us start with the premise that everything is predestined. - If we are bound by destiny in this life, and cannot perform actions by our own volition, this rule must apply to our past lives as well. It would mean that in past lives too we were bound by destiny, for the rule must be the same in all lives. - But if in each life we were bound by destiny, then in which life did we perform independent actions that created that destiny? 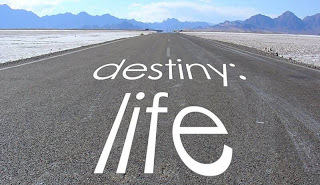 - And if in no past life we performed actions with our free will, then how was destiny created? - Again, if we did actions with our free will in any past life, we can do them now as well. “While working, don’t bring destiny into your mind, or it will make you lazy.” If you do, you will start running to astrologers to know what your destiny is, rather than focusing on performing your work properly. 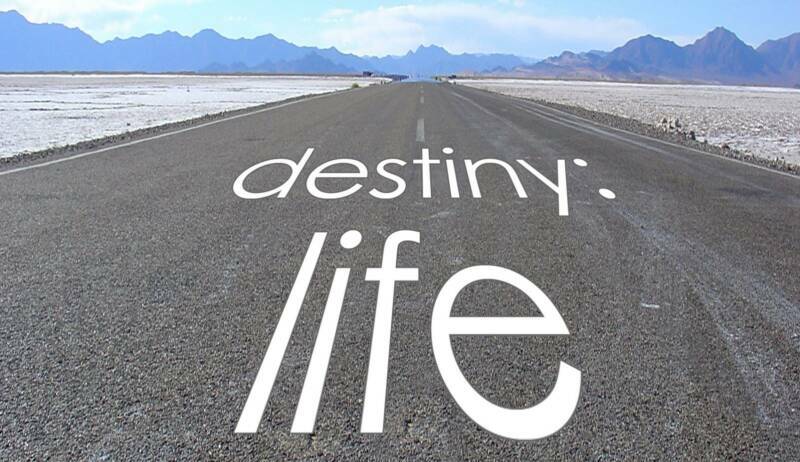 It is a fact that there is an element of destiny in our lives. However, we also possess the freedom to act as we wish in the present. This is called purusharth, or the work we do in the present, by using our freedom of choice. The example is given of a game of cards. The hand that is dealt to a person gets fixed; it cannot be changed. But how one plays with the cards is not fixed. If someone is a good player, he or she may win even with bad cards, while if someone is a bad player, he or she may lose even with good cards. Similarly, if you were destined to win a jackpot of a million dollars, you will win it. But beyond that it is your self-effort. If you work hard, you could multiply it into ten million dollars, and if you develop profligate habits, you could squander it away in drinking and gambling. That would not be decided by destiny; that would be your own purusharth, or self-effort. JKYog is a unique system of Yoga, with a holistic approach for nourishing the mind, body and soul. It includes five ancient Vedic sciences - Yogasanas, Pranayama, Subtle Body Relaxation, Meditation, and Proper Diet.